Read what others clients have to say about our service. I am a first time homebuyer with expensive taste on a tight budget Inspector Dan provided me with a home inspection that was competitively priced. He was thorough, took his time, focused on safety & quality. Dan was flexible with his schedule and very available to me; he was responsive via text, Phone, and email. Dan's inspection was so helpful that I am hiring him to join me on my final walk-through. He also recommended A colleague (radon expert) who was very professional and helpful. 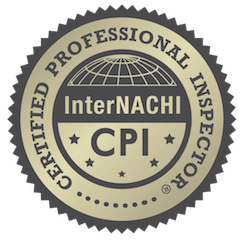 Dan was extremely thorough not only in the inspection itself but also in carefully pointing out details which are valuable to the new homeowner. For example, he pointed the specific locations of water and gas turn offs. No detail or area was overlooked. He explained what home inspectors do as well as what they cannot do so we had clear expectations and information. He was prompt in meeting for the appointment and he was prompt in providing the inspection summary as well as the detailed complete report. We were provided with a binder containing a wealth of information regarding the working and maintaining mechanics and structure of a home. Our real estate agent commented to us that she was impressed with the thoroughness of the inspection. We have no hesitation in giving our highest recommendation. Great Experience for a First-time Home-Buyer! 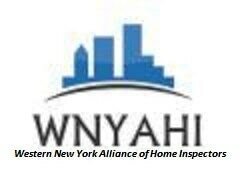 Dan Bartels helped me with two home inspections. He arrived early, was extremely thorough and patient, and took the necessary time to explain to me what was happening. As I am a first-time home-buyer, I was very appreciative of this and his knowledge! His reports were clear, concise and timely. He was able to assist within a tight time-frame, was courteous, responsive and approachable. He addressed all of my questions without making me feel dumb for asking them! Would highly recommend! Below the roof line went above and beyond in completing our home inspection. The inspection and report was detailed, and thorough. All our questions were answered with patience, and additional resources provided where helpful (i.e. books, websites). We are very happy with the work completed, and would hire them again in a minute. However, i am never moving again! Dan was very thorough and gave me excellent advice of which I followed very soon after. He was very professional and took good care of my private property.